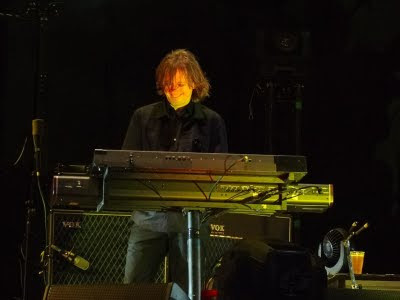 "Yes I am on stage playing with the band again and hopefully 15 minutes in I haven’t played any wrong notes! 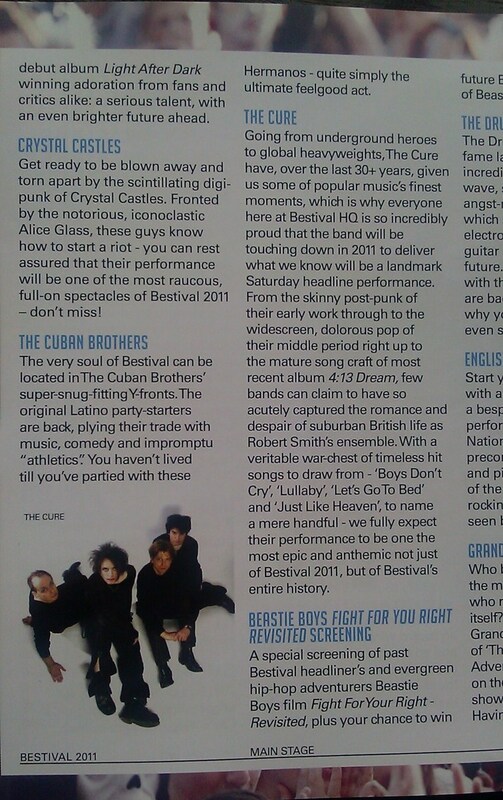 Robert asked me about a month ago to play Bestival and I was very happy to say yes. Playing these songs again, old friends, being up on stage with Robert, Simon and Jason who are really family to me, it is all right. Looking forward I’m sure there will be lots of exciting Cure projects in the future which I am very excited to be a part of again... "
And on Twitter: "I never lied but was less generous with the truth than normal! Thanks for all the messages! I'm very happy to be back! Good things coming!" Welcome back, Roger! It has been far too long, and we missed you tremendously! Setlist, show notes and photos moved here. The interview that Robert gave to The Guardian will run in the Guardian Guide this Saturday. NME is also running a story based on this interview. 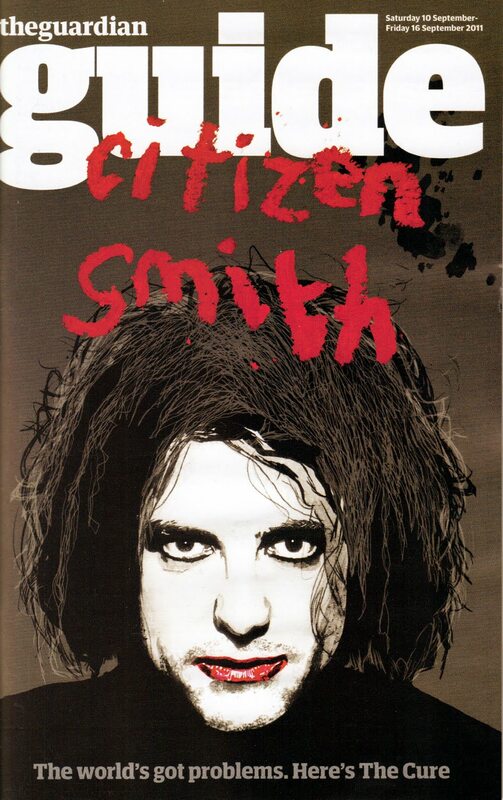 And if you missed Robert's recent Hot Press interview, the scans from Keith are here. Thanks to April for the photo. April & Heron also sent photos of the Bestival wristbands and from the fan meetup. Thanks to Maggie for the photo. She also sent a few shots from around the festival grounds. Kicking off at 3pm on Sky 3D, Saturday will be a dizzying display of Rock Stars, Pop Stars & Divas featuring The Cure, live! Yes! 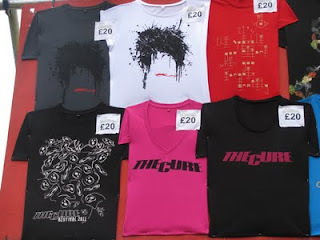 The Cure, LIVE! If you’re joining us at Bestival, don’t feel left out of our super-modern 3D TV party, you can still relive those golden Robin Hill moments once again with an extra highlights show brimming with Bestival goodness on Sat 17th Sept on both Sky Arts 1 & Sky 3D. "We have a new Photo Gallery going live from tomorrow evening which will be updated daily with live shots of artists, stages, arenas and all things weird and wonderful around the site." Tune in via 87.7FM, Bestival.net & East Village Radio. 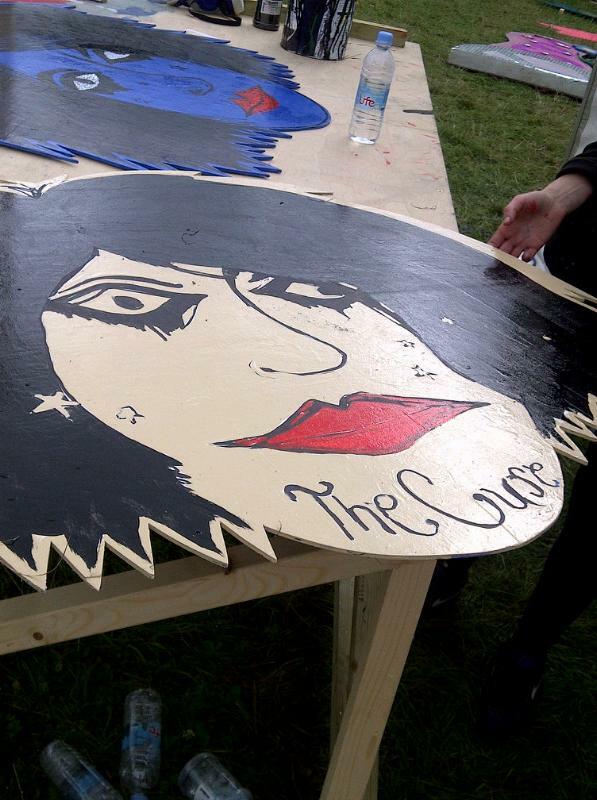 What will make Bestival 2011 special? Rob: Two and a half hours of the Cure on Saturday, for me. How did you bag Bjork and the Cure? Rob: They've always been on the wish list, particularly the Cure. 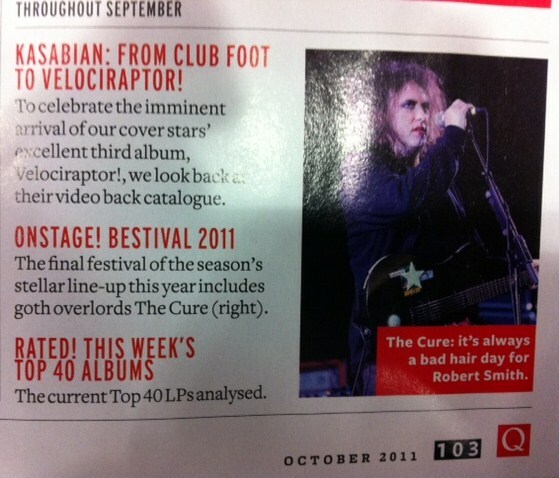 The Cure have always been in the top two or three. 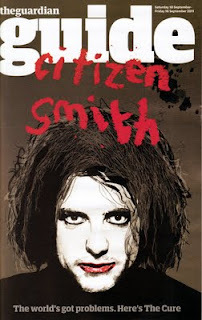 I've been in contact with Robert Smith via email and through his agent for a number of years and it's nearly happened two or three times but I've since found out how thorough Robert Smith is, in a very positive way. He doesn't agree to do things unless he thinks it's going to be absolutely the right thing and he plans it to the nth degree. They're my boyhood band. Photo of Robert stage art posted by @RobdaBank on Twitter. And this - "i take it The Cure wont be playing Prayers For Rain this weekend @bestival"
For those looking to buy or sell tickets, Bestival asks that you only use Ticket Trust. 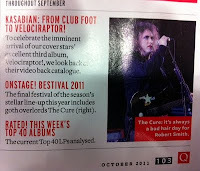 In addition to coverage on SkyArts, Q TV (Sky 364 Virgin 33) will also have some Cure at Bestival highlights.